Samsung is set to introduce their newest flagship smartphone for 2018, which is expected to be the Galaxy S9 and Galaxy S9+. Rumors and leaks have already made its way on the Internet and we’re sure that many of you are already excited about its release. But before that happens, let’s take a look at the pricing of Samsung’s Galaxy S series through the years. First up is the Samsung Galaxy S which launched in the Philippines in June 2010 for Php32,995 (16GB). By today’s standards, it’s an entry-level phone with a 4-inch Super AMOLED screen with a resolution of 480 x 800, Corning Gorilla Glass, 1GHz processor, 512MB RAM, up to 16GB storage, 5MP rear camera, 1,500mAh battery, and Android 2.1 Eclair. Succeeding the Galaxy S is the Galaxy S II which launched in the Philippines in June 2011 for Php29,990. It has a larger 4.3-inch Super AMOLED Plus display but retained the resolution at 480 x 800 with Corning Gorilla Glass. It is powered by an Exynos 4210 dual-core processor, 1GB RAM, and up to 32GB storage, 8MP rear camera, 1,650mAh battery, and Android 2.3.4 Gingerbread. The Galaxy S III launched in the Philippines in May 2012 for Php32,990 (16GB). It is a big improvement over its predecessor in terms of looks as well as specs. It has a 4.8-inch Super AMOLED display with HD resolution, Corning Gorilla Glass 2, Exynos 4412 quad-core processor, 1GB RAM, up to 64GB storage, 8MP rear camera, Android 4.0.4 Ice Cream Sandwich, and 2,100mAh battery. The Galaxy S4 launched in the Philippines in April 2013 for Php30,990 (16GB, LTE). 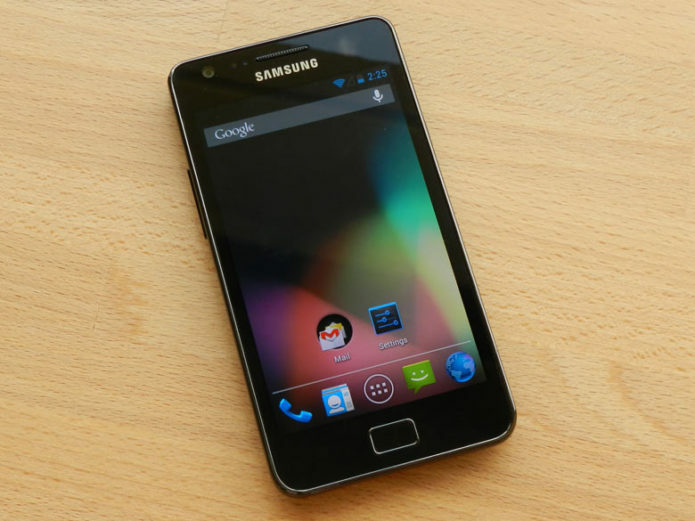 It has a larger 5.0-inch Super AMOLED display with a Full HD resolution. Samsung used two chipsets for the S4, one with a Snapdragon 600 quad-core, while the other has an Exynos 5410 octa-core. It is also equipped with 2GB RAM, up to 64GB storage, LTE connectivity, 13MP rear camera, Android 4.2.2 Jellybean, and 2,600mAh battery. The Samsung Galaxy S series broke the 5-inch barrier with the Galaxy S5. It launched in the Philippines in April 2014 for Php34,990 (16GB), and sports a 5.1-inch Super AMOLED Full HD display, Snapdragon 801 quad-core processor, 2GB RAM, up to 32GB storage, LTE, 16MP rear camera, IP67 water and dust resistance, Android 4.4.2 KitKat, and 2,800mAh battery. Following the S5 is the Galaxy S6 which launched in the Philippines on April 2015 for Php35,990 (32GB) and Php41,990 (64GB). It has a 5.1-inch Super AMOLED display with Quad HD resolution, and Corning Gorilla Glass 4 front and back. It is powered by a Samsung Exynos 7420 octa-core processor, 3GB RAM, up to 128GB storage, LTE, 16MP rear camera, Android 5.0.2 Lollipop, 2,550mAh battery with Qi Wireless Charging. The Galaxy S6 Edge launched in the Philippines together with the S6 for Php41,990 (32GB) and Php47,990 (64GB). It has the same specs and features as the S6 except for the Curved Edge screen and a slightly larger 2,600mAh battery. The Galaxy S6 Edge+ arrived at a later time and became available for purchase in the Philippines in September 2015 for Php39,990 (32GB) and Php44,990 (64GB). It has a larger 5.7-inch display with Quad HD resolution, Curved Edge screen, 4GB RAM, and 3,000mAh battery. The rest is the same as its S6 siblings. The Galaxy S7 became available in the Philippines in March 2016 for Php34,990 (32GB). It has a 5.1-inch Super AMOLED Quad HD display, Samsung Exynos 8890 64-bit octa-core processor, 4GB RAM, 12MP Dual Pixel rear camera, IP68 water and dust resistance, Android 6.0 Marshmallow, and 3,000mAh battery with Fast Wireless Charging. The Galaxy S7 Edge became available in the Philippines alongside the Galaxy S7 for Php39,990 (32GB). It sports a 5.5-inch Super AMOLED Quad HD display, Curved Edge screen, Corning Gorilla Glass 4, Samsung Exynos 8890 64-bit octa-core processor, 4GB RAM, up to 128GB storage, 12MP Dual Pixel rear camera, IP68 water and dust resistance, Android 6.0 Marshmallow, and 3,600mAh battery with Fast Wireless Charging. Last year’s flagship is the Galaxy S8 which became available in the Philippines in May 2017 for Php39,990 (64GB). It is equipped with a 5.8-inch Super AMOLED Quad-HD+ Infinity display with 18:9 aspect ratio, Corning Gorilla Glass 5, Samsung Exynos 8895 64-bit 10nm octa-core CPU, 4GB RAM, 12MP Dual Pixel rear camera, IP68 body, heart-rate scanner, iris scanner, Android 7.0 Nougat, and 3,000mAh battery with Fast Wireless Charging. The Galaxy S8+ also became available in the country in May 2017 for Php45,990 (64GB). It has the same specs as the S8 except for the larger 6.2-inch display, and 3,500mAh battery. Looking back at these prices, Samsung’s most expensive Galaxy S smartphone in the Philippines was the Galaxy S6 Edge (64GB) with a launch SRP of Php47,990, followed by the Galaxy S8+ at Php45,990. The Galaxy S9 series could be priced at the same range or higher depending on how much tech it has under the hood.